I remember crying as I was leaving my 2 year old daughter at a daycare. The staff at the daycare kindly told me, “don’t worry mom, we will take a great care of your daughter” and she handed me a tissue paper. (I’m sure she already prepared tissue for me in advance). 2 years later… I went through the same experience and this time, my younger daughter was age of 4 month. For this time, I thought it was going to be easier to drop off my daughter since I experienced once… Nope, the experience of dropping off was still the same. Lots of tears…. and at the same time, this guilty feeling “I am such a bad mom leaving my kid” grew out.. I also felt like I will be missing out seeing my baby’s milestone. I failed as a mom because I am not a mom for my kids 24/7….. The last punch to my stomach was, “I’m such a selfish person that I’m choosing career over a motherhood”. I’m sure I’m not the only one who experienced this. 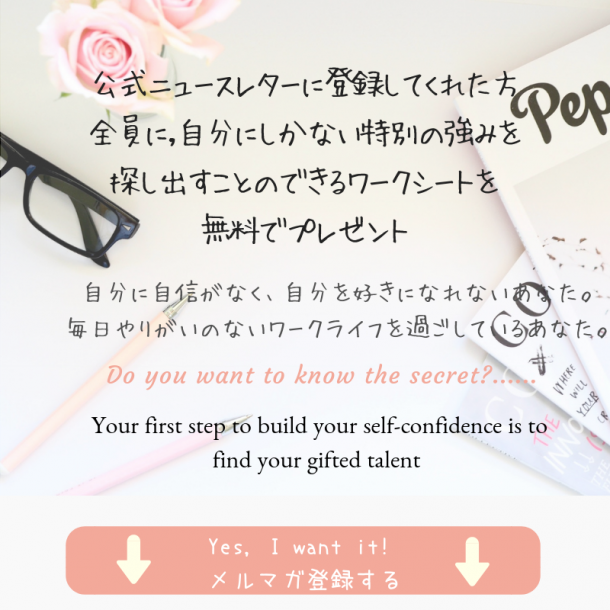 On top of “OMG, I’m such a bad mom” feeling, I was also worried about not be able to teach Japanese language and culture for my kids and they will not be able to speak Japanese. As a working mom, we all have a guilty feeling. I was dragging this feeling for about a year or so and one time, I was in tears talking about my guilty feeling with my boss during my one on one, my conversation actually turned into a transformational conversation. Wait… What? ….. I never thought that I was providing wealth and health for my family. I never thought of my own definition of success…. This was my starting point of building an identity as a working mom and be able to overcome the guilt as a working mom. To be honest with you, guilty feelings still pop up but I now can recognize it, face it and turn into a positive way. Do you remember the time when people are telling you what you should do with your baby? Having a second child gave me more confidence to not care about what other moms are doing or saying… If you are a first time mom, you might be in the baby comparison game of whose baby is sleeping longer…. BUT, the point is, like our children , we are all different and what our life “should” look like would be different. Therefore, we all need to get rid of the word “should” and start living a life of your own. Please be kind to yourself. If the clean laundry is still in a dryer, who cares. I completely get it, we don’t want to miss our child’s dance performance, award ceremony, games and play at school. Sometimes, we may have to “miss” some of these days. Well, this is part of our working mom life but we can be creative! If you have children, YOU chose your child’s daycare/provider. You did a great job on choosing the best one that works for your family! Trust them! While you are at work, your children are learning, and socializing. Your children will have a great start when they go to kindergarten. Tip 1: Check your employee handbook about the time off arrangement about School and Child care activities Leave. Depending on which state you are working on, your company may allow you to take the time off (paid or unpaid). Tip 2: Check your child’s school and extracurricular ‘s yearly calendar and block your calendar in advance so that no one can book a meeting. Tip 3: Going back to the expectation. If your schedule is not flexible, talk to your child and have them pick the event that they want you to be there. Tip 5: Think you are giving others a turn. Grandma and Grandpa can come and support your child. Although I understand that this is hard for moms like me who are immigrant and their parents live in another country. Tip 6: Be a cheerleader! You might be having an important presentation and that’s why you could not arrange your time off… if so, tell your child that mommy and your child are both having a big day! We can both be a cheerleader! Tip 7: Know that your child is doing great and gaining their self-confidence being on the stage, on the field or where ever they are at! If you can stay in a workforce, your career will grow and you can gain more flexibility and that is our best friend! Yes, having a flexibility is a key for us! 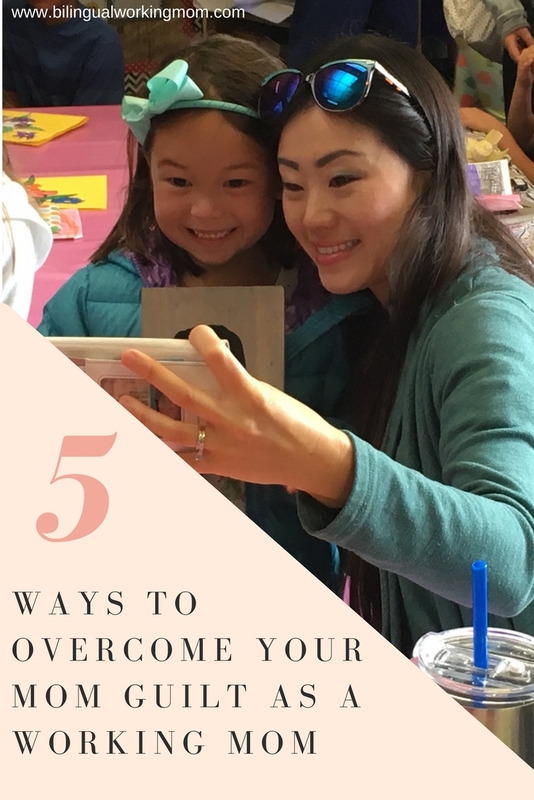 #4: Your feeling can transfer over to your kids. Do you love what you love? I still remember the day that my daughter asked me if I need to take a nap when I picked her up at the preschool. Whoa, how did she know?? Yes, our children can catch our feeling and they are not shy telling you about it. If you are feeling miserable working, instead of keep pushing yourself, stop and ask yourself, if you are happy with what you do. It is going to be hard to get out of the guilty mindset if you are not enjoy working. Many of us are in fear of change, and you may not want to change things up while you are raising your child. However, it is very important to look at a bigger picture. You do have more options… and the best time to look for a job is when you have a job. If you are satisfied with your career and you just had a stressful day, take extra few minutes for yourself in your car before picking up your kids. At my work, I have hosted a women’s event and brought a topic of mom’s guilt. Oh boy oh boy, that topic was so popular. I honestly cannot get through my hard time of being a working mom without my other working mom friends. We all share similar struggles and they can really understand my feeling. Don’t be afraid to share your struggle. You will find yourself that you are not alone! We all go through this and we are all OK. The important thing to remember about the circle is that we all need to keep it a positive ending conversation. Offer suggestions and NO comparison game!! We can be a mom and a career woman. There is no one specific way of motherhood. I am a type of person who like to keep multiple identities. This is for me and this is not for everyone and that is ok. There is going to be a right season, so if you are feeling really miserable and you have a strong feeling of staying with your children at home, that is ok too. If you feel miserable, ask yourself what makes you feel this way? Not be able to spend time with kids? Well, this is the reality of working mom. Focus on positive things that kids are gaining while you are at work. Let’s enjoy working motherhood! Working mom is all about enjoying being a mom and being a career woman.